For those who reside in an area that experiences a decent winter season hibernating your power tools is a major task to prepare for as winter approaches. Anything that is not going to be used much in the winters needs to be stored safely until the summer. A pressure washer is one such power tool that needs proper hibernation care for the winter months even if you are planning to use it for ice and snow removal. The following guide will highlight why hibernation is important for a pressure washer and how you can do this. Most folks believe that a power washer needs no preparation for the winter months and that it can be stored as it is in the shed or garage. Well, you can store it as it is without much concern but preparing beforehand and winterizing it is a good way to prolong its useful life. 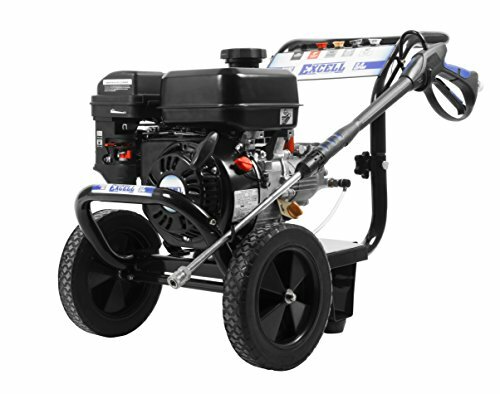 If you live through freezing temperatures in winter months then hibernation for your pressure washer is a must. Consider the alternative – one fine spring day, you take out your pressure washer only to find that it requires expensive repairs because of unanticipated winter damage. This is not something that you would ideally want to go through, especially if you just purchased a pressure washer. If you believe that your warranty covers such damage, think again. Majority of manufacturers exclusively highlight that they will not cover damage due to the failure to winterize your pressure washer. 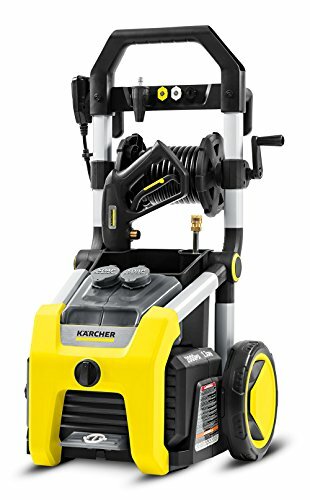 Now the store you purchased your pressure washer from may not have told you this but the operating manual for any pressure washer always provides useful insight into how you can hibernate it. Following these simple winterizing instructions can save you thousands in the long run. Follow these simple steps to prepare for winters and safeguard your pressure washer. Before doing anything make sure that the machine switch is in the STOP position. Next, detach the water supply hose and shut down the water supply line. Detach the high pressure hose and trigger gun, drain them properly. Keep a gallon of 50/50 antifreeze auto solution handy. Switch the motor switch to the ON position and pour antifreeze solution in the float tank. For the detergent suction hose use a separate container that is also filled with anti-freeze solution. For units with control settings, set the detergent valve position to high. This prevents the entire detergent line from freezing but does not apply to the pump itself. Run the pressure washer only momentarily until the antifreeze solution escapes from the outlet. This completes the winterization of your pressure washer. Turn the switch back to STOP position before storing it away in your shed or garage. Remember to drain any gas that might be left in the tank. Gas tends to crump up in winters and obstruct the lines later on. If you wish you can use a fuel stabilizer for this purpose. One cannot be too cautious with winterizing of power tools. Any kind of fluid such as oil, gas, water left inside a power tool can jam up the components and cause devastating problems later on. Water tends to expand rapidly under low temperatures and cracks components like manifolds, detergent lines, hoses etc. Oil however at low temperatures loses its lubricating effect and can gum up lines, block the carburetor etc. With an expensive investment such as a pressure washer you definitely do not want these outcomes because of the lack of proper hibernation techniques.